Nothing signals the end of summer at the seaside like raw oysters, freshly shucked and served on a bed of ice with a bowl of lemon wedges. They’re best enjoyed with a sparkling flute of Prosecco, its tiny bubbles clinging to the inside of the glass and refracting the warm rays of a glowing orange sun which is slowly sinking into the sea. “Obviously, if you don’t love life, you can’t enjoy an oyster,” are the words of Eleanor Clark in The Oysters of Locmariaquer, her ode to the Bélon oyster and the rich history of France’s Brittany region. Several estuaries on the south coast of Finistère, an end of the earth department in Brittany, hold the holy water, a mix of coastal seawater and fresh spring and river water, which produce Bélon oysters. While this area may be off the beaten track, it’s certainly not short of fresh air activities to keep you occupied. La Pointe du Raz is one sight not to be missed. It is France’s Land’s End, a coastal point standing atop 70 metre cliffs and offering spectacular views over wind-whipped waters. Extending between la Pointe du Raz and the breathtaking la Pointe du Van is the Bay of the Departed, a long and exposed beach at the complete mercy of the elements. 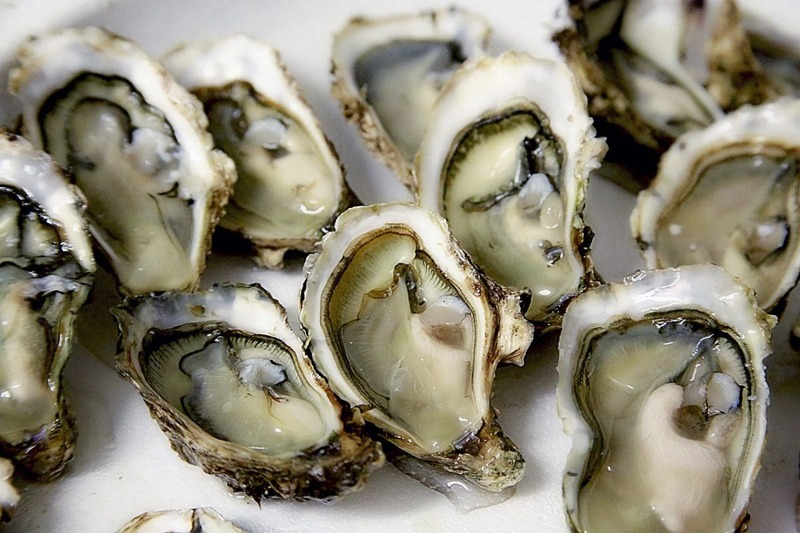 One pearl of oyster wisdom dictates to eat oysters only in months which contain the letter R. You can, and the French do, eat oysters year-round, although they are at their best from September to April. It’s not polite to tip out the liquid the oysters are resting in – it’s part of the taste experience. Squeeze a few drops of lemon juice, or Tabasco sauce if you like it spicy, and with the shell resting on your bottom lip, tilt your head and let the oyster slide into your mouth. Léon-Paul Fargue, a French poet, described eating oysters as “kissing the sea on the lips.” Like any good kiss, it’s best done with enthusiasm, so close your eyes and enjoy it. If you must, swallow in a single gulp, but you are missing something if you don’t stop to chew. With Bélon oysters, it’s a sweet and mild taste with a clean, briny finish. I propose a toast to oysters – in summer or at any time of the year. 2 Responses to "How to Eat: Oysters"